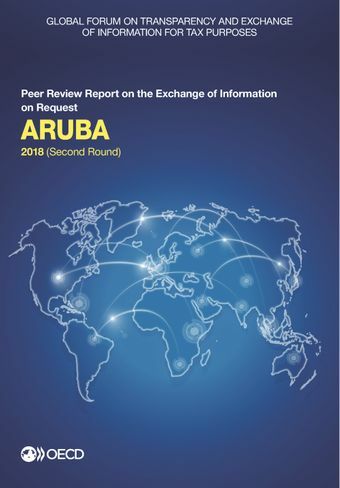 This report contains the 2018 Peer Review Report on the Exchange of Information on Request of Aruba. The Global Forum rated Aruba overall Largely Compliant with the international standard of transparency and exchange of information on requests handled over the period from 1 July 2014 to 30 June 2017. The report concludes that Aruba’s legal framework requires improvements to ensure that there are legal obligations to maintain beneficial ownership information for all the entities and legal arrangements, as required since the strengthening of the standard in 2016. The main concern though, relates to the large number of inactive companies and inadequate monitoring in general, so Aruba needs to urgently design and implement effective supervision and enforcement programs to ensure availability of updated and accurate ownership and accounting information for all entities, to be in line with the international standard. Aruba has limited experience in answering requests and needs to improve its organizational processes further to ensure effective exchange of information with its partners. Read the news release.